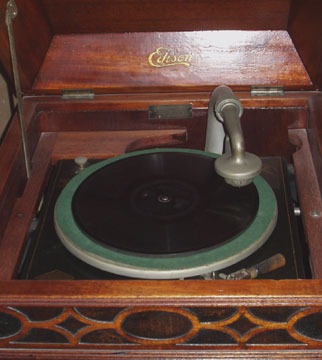 Studio 801 has an acceptable and eclectic collection of recorded sound material, these types include: Cylinder Records (wax and celluloid,) 78 rpm Discs records, Various 33-1/3 LPs & 45rpms. 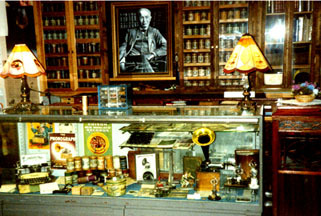 Both Wire Recordings and Reel to Reel & 8 track Tapes. 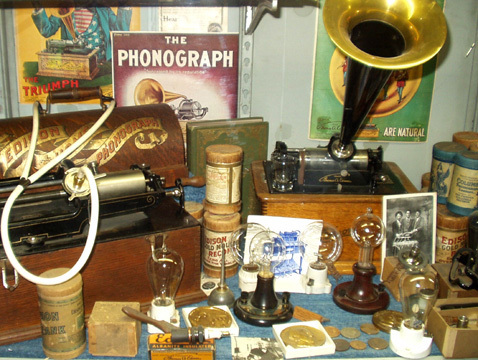 Not to mention there are many different machines to play these various recordings. 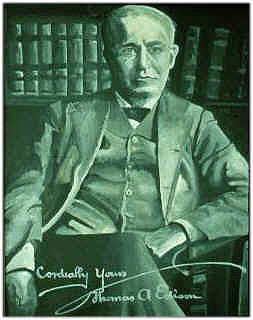 This photo shows some of this material. 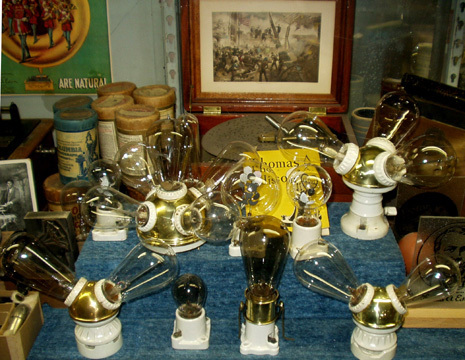 Please notice the painting of Thomas Edison, the father of recorded sound, top center. 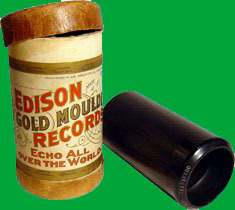 This Model "B" Cylinder Phonograph has been in the studio collection for over 30 years. 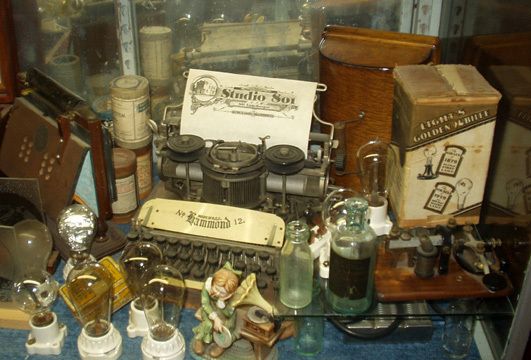 It was the first cylinder machine in the collection. 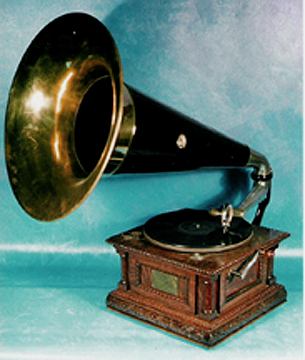 It has a "C" Reproducer and 14" brass bell horn. 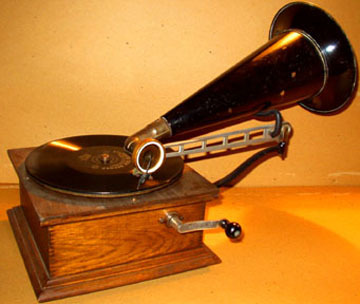 It was built in 1905 to play 2 minuet Black Wax cylinder records. This fully restored Victor Model "MS," "Monarch Special," is considered the center piece of the Studio Collection and plays very well. In order to get it in presentable condition, it was taken totally apart so all of the brown flaking dead finish could be removed from all of the many "nook& Crannies." After the parts were stripped clean, they were all "grain filled" with a black wood filler and sealed with a light coat of orange shellac. 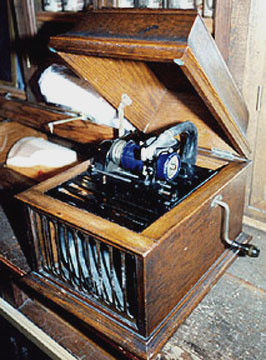 The machine case was then scuffed before applying several thin coats of "Spirit Varnish." To finish the case restoration, the fully assembled case was rubbed smooth using rubbing oil & Pumice, then with rubbing-oil & rotten stone. 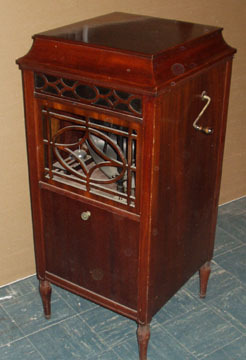 The fully restored unit was then waxed to protect it. 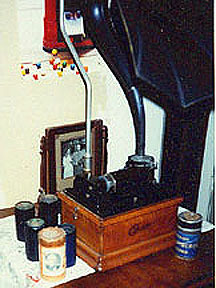 Found in an attic in South St. Louis Mo., this machine was not found not complete, as was the "MS." Every part of this machine did not come from Victor as a Phonograph unit. 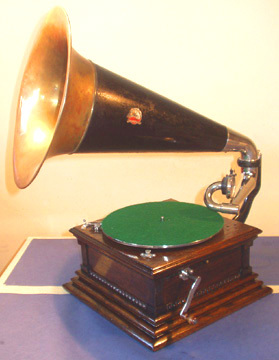 When found, there was a back mount and tone arm, but no Horn, Elbow, Reproducer or Crank. This Victor "M" like the Victor "MS," had to be fully restored. When all of the parts were located and purchased several of them did not match. 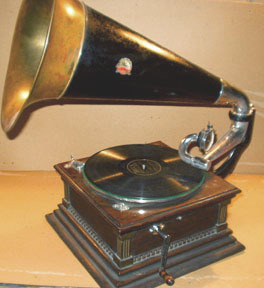 It has always been my intention to match this machine to my Victor "MS."As can be seen above, This phonograph was taken totally apart so all of the dead finish could be removed. In the past the machines corner columns had been painted gold, maybe to make it look like the Victor 6 with its gold plated Columbus. This paint was stripped off and reassembled on to the case using Hide Glue. 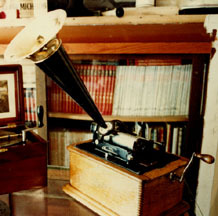 when every thing was reassembled it too was grain filled and refinished, like the "MS."
will play most types of cylinder records (2 & 4 minute wax also 2 & 4 minute Celluloid types records.) 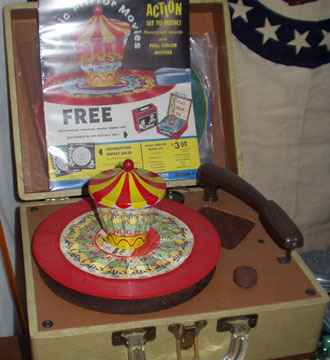 In order to play these different speed records, the top works required a coin-op type adapter pulley. 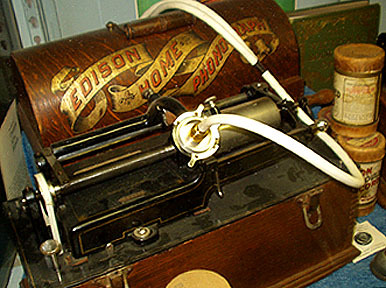 Lastly, because of the locked beveled glass lid this machine was also built with an Edison Model "C" repeat attachment. 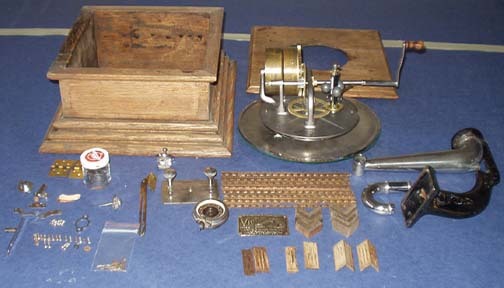 In order to present the machine workings in a proper manner a case was required. 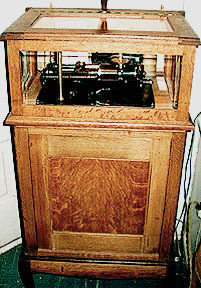 All wooden case parts were Studio 801 built in the manner of a Coin-Op. It has taken a period of seven years too collect and build this machine. 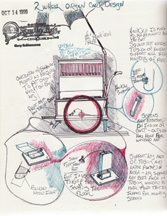 CLICK on the picture above to see a You Tube video of this custom built machine in action. 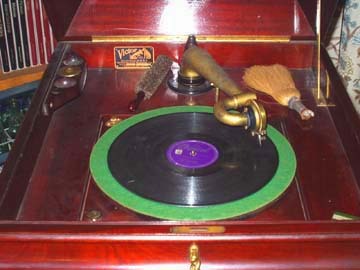 Wurlitzer Juke Box, Model 1015 - "Bubble Wurlitzer," 78 rpm, one-side play. 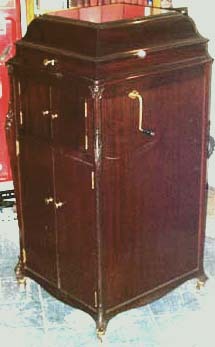 Restored at the Studio in the mid 1980s. 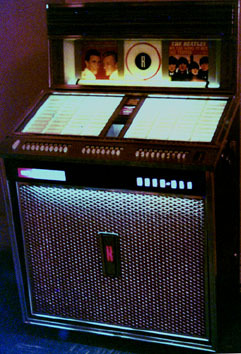 Rockola Juke Box Model 143 - "Royal Princess," 160 Play 45/33 rpm. Restored In the mid 1990s. 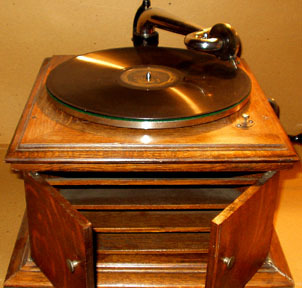 Not all old records are expensive or impossible to collect a complete run. 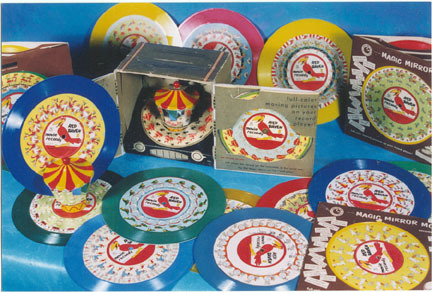 This image shows a complete collections of 20 Red Raven, 78rpm, Movie Records, These plastic discs made their appearance in 1956. Popular Mechanics Magazine reported on these unique un-breakable records in an article relating to new Christmas gifts that year. The list Below is of all titles complete. Happy Hunting!!! Click the photo to link to more information.